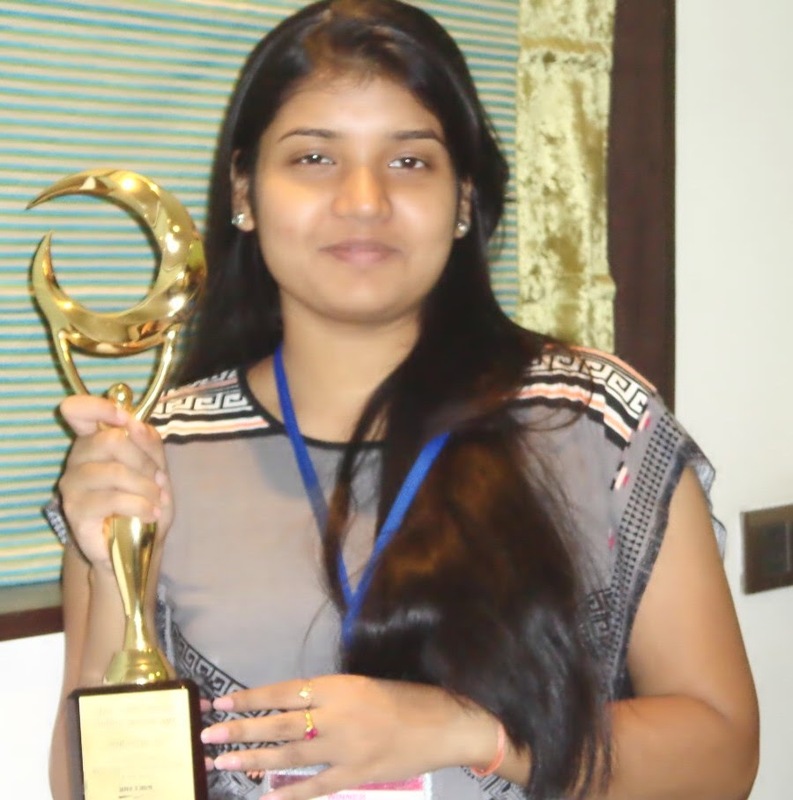 Youngest Bestselling Fiction Author, Bilingual Poet, Columnist, Motivational Speaker final year student of Humanities in Allahabad University, Leema Dhar left her AIEEE Rank for her creative passion. She has been nominated thrice consecutively for Hindustan Times Women Achiever Awards (2011, 2012 & 2013). At a tender age All India Radio picked her up as the Youth Icon (2013). Besides being a freelancer, she is currently associated with numerous creative projects. AMIT- Hi, Leema. Let’s start with a formal introduction. Tell me something about your daily schedule and the things which define you and your lifestyle? Well…I’ll start with the famous saying ‘You are who you are when nobody’s watching.’ I love to play with characters and imagine a hell lot of things (sometimes reasonless!) That’s what defines me. I write books and pen my imagination in solitude because this is what I am. On the other hand I’m a person of intense emotions and unpredictable thoughts. I love travelling, that’s been the biggest inspiration behind my whole being, to make me what I am. I sometimes feel like someone could easily lock me in a dark room with a candle and a huge pile of good books, and I can read for an indefinite period of time. My sweet little nuclear family consists of dad, Samir, who’s also a Bestselling Bengali author, who’s been the man of my life. He’s a stubborn person when it comes to writing (hardly lets me miss out on a day when I don’t pen down at least 500 words!). He’s a great counselor, both professional and personal wise and the source of making me a writer! Then, my mom, Mausami, teacher of St. Mary’s Convent Allahabad, she’s the face I look up to in my desperate times, she knows how to soothe my blues away and make me smile when I feel hopeless at times. She’s my lifeline. AMIT- How does it feel to be a well-known writer at such a young age? Leema: Life has changed, though, in positive ways. And change for good always keeps me rejuvenated. Lots of fame, money, popularity came my way and made my schedule tougher. I met new people, made new friends, was showered with innumerable mails from readers, fans; critiques jumbled up, and each time I read them, there’s this smile on my face that makes me realise ‘I’m on the right way!’ I’d initially thought I would never be able to cope up with my work and academics simultaneously. I’m now able to stay awake by 2 to 3 am in the middle of the night and complete my writing targets, interviews, etc. But then, as they say, habit makes a man. And writing is my habit and a profession as well!! AMIT- So, what do you enjoy most writing, poetry or stories? Leema: Both. I cannot choose one. I started my journey as a poet and I consider myself a poet first. 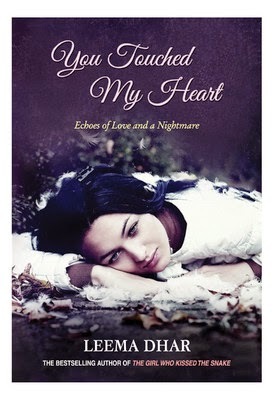 Having said that, I enjoy writing novels and people look up to to Leema as a novelist! 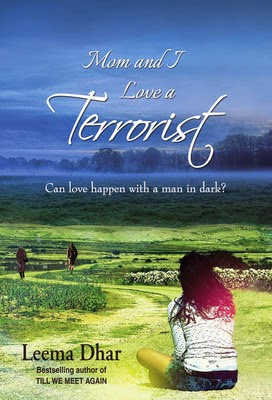 AMIT- Okay moving on, how did you choose your genre and title of your book? (THE GIRL WHO KISSED THE SNAKE)? Leema: Creative writing is not a cookery- book recipe that can be prepared by following a certain process. It depends on the observation, madness and imagination of a novelist. You should be able to prioritize your characters according to the flow of the story. Sometimes nature becomes more important than the hero of the novel. Initially I never think about the title or the genre; I just focus on the plot and go with the flow trying my best to justify the ends of my characters. After the end I decide on a title that may even strike me in the middle of the night. AMIT- Being a social worker, according to you what impact does books and reading has on society? AMIT- Describe your journey as an author. Did you always know you wanted to write? Leema: My journey as a fiction writer started with rejections and then some more. At that time, it was my beautiful family that made me stand up on my legs and face failures and that was the time I realized there’s no substitute for a family’s support. It can make or break you. But then you need to keep the wheels of your creative cart moving and face the tough times. For a while, I thought ‘Maybe it was over’ but then luck toppled up, and I was offered seven proposals for my first Bestselling fiction ‘Till We Meet Again’ that was out in August (2012) followed by the highly critically acclaimed novel ‘Mom and I Love A Terrorist’ that has been reigning over the market since October (2012). Both are close to my heart as they released back to back in the same year (2012). I was actually unaware I’d a small bundle of talent compact somewhere in me and the entry of a man in disguise, my dad made me a clay in a potter’s hand, and hence it was he who’d made an author out of me! Next obviously I can’t thank my mom, enough for all the pains she took while saving up my loose paper manuscripts that held my poetry, short stories and fiction. So they were my two pillars who made me take up the pen and intensify my creativity. I was three when I wrote the very first poem of my life, though with broken lines and nursery rhymes. And from there began my journey as a poet, and finally, I found myself transformed as a fiction writer today! I was a poet initially as I mentioned above and started off with writing both English and Hindi poems. The first write up was a Hindi poem titled ‘Sundar Heera’ that got published in the National Hindi daily newspaper ‘Amar Ujala’ when I was in class nine at the age of thirteen, the same year when my first book– a Hindi anthology of poems ‘Kuch Lafz Naquab(2007) Mein’ was out in the market. 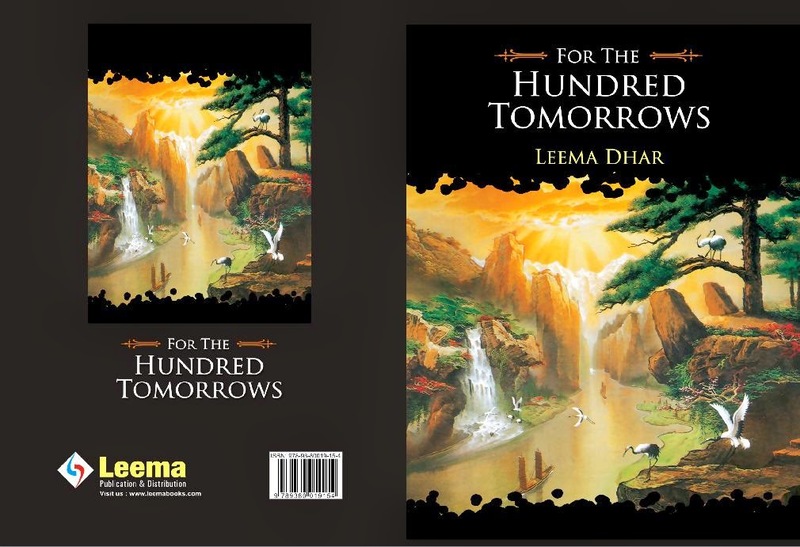 The same year an English poem ‘A Conversation with God’ that was published in an English daily Northern India Patrika, and my first anthology of English poems- ‘For the hundred tomorrows’(2010) flagged off when I was in class twelfth. As per print and electronic media, I’m currently the youngest bilingual poet and author in the country. AMIT- What are your favorite literary works and who are your favorite authors? Leema: Well…I’ve recently completed ‘The Portrait of a Lady’ by Henry James and I’m currently reading the selected short stories by Maupassant, Anton Chekhov, O Henry and Saki. AMIT- What topics are most of your Motivational Speeches concerned and why? Leema: My journey as a novelist began from 2011 and to brief it up I would frankly say by 2012 March I was an established failure. Oxymoron, right? But what will you call a person whose debut fiction script has been rejected by say 16 houses and some didn’t even turn up with a reply over the mail. And very soon, I found out the reason- They were indifferent towards my script just like the society was when I wanted to be a writer. So I have encountered two sides of Leema; one that failed and one that didn’t stop herself from climbing the ladder of optimism. And there I found I had a little part of me that loved studying human psychology, to observe the characters and not just see; to hear and not just listen. I eventually learned to speak in silence and at times with silence. And why did that happen? Because I did not take the road of the conformist, I chose a different path that was paved with hurdles of rejections, shackles of criticism and handcuffs of helplessness. And in the midst of trying to be indifferent, I created my own identity. So for you guys don’t venture on a journey just for the heck of it. If your mind and heart shake hands and say yes, do it, then even if the heaven’s say no, you do it. And your childhood hobbies can set the foundation of the big architectural future of yours that you would admire when you’re 80. Hone your craft, sing in the bathroom, play the Spanish guitar, paint some cards, pick up the paint brush and draw a portrait, practice the classical dance, play soccer, enjoy cricket, and tomorrow you’ll not be just a B Tech student, but an unusual individual who may seem crazy but whom the country would be proud of. I love sharing my failures over my successes. Because that has made me what I am today. If victory comes easily it will never be a triumph, I would rather like to fall, break, get up and break the shackles of obstruction and reach the moon! AMIT- Is there anything, you’ve too scared to write about? Leema: Not as yet. Initially I was scared. But my readers have showered me with immense love and I’m grateful that it’s for them that I have been able to juggle both the poetic and novelist world. AMIT- Best piece of advice for writers trying to break in? Leema: To enter the big world of literature, you need to have a strong heart capable of bearing rejections and depression temporarily. A family plays a key role here to help you find your way and not lose hope. Success comes after a long term of hard work and patience. Be confident. Trust your power and your inner self. You need to carve a niche on your own because initially, there are few or none to help you out. For the amateur authors, I can say they should read more and more International fiction to polish the language and keep a specific time to write on a regular routine without miss. The fine example here is of my favorite author Jeffrey Archer, who wrote the prison diary in the jail and didn’t miss a single day to write. There are struggles, collaborations, frustration, but then I’m sure you’ll find those rare gems of peoples who would help you in the journey. That may take a week, a month, a year or more. Just believe that no one as unique as you and one day when you turn back you’ll find all the happy footprints that you left for the world! Good Luck! AMIT- Something personal about you people may surprise to know? AMIT- And the last one, you belong from Allahabad, have you planned any story based on “Sangam” or here’s culture? Leema: Planned! 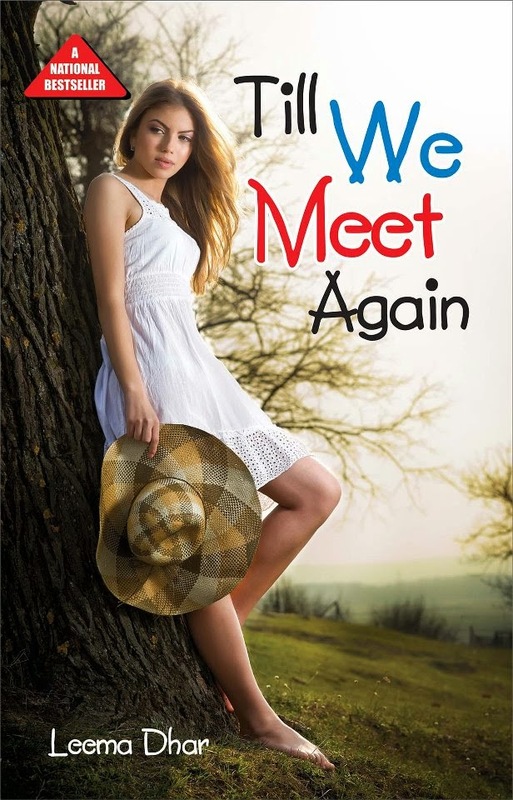 I have already dedicated my debut best seller ‘TILL WE MEET AGAIN’ to Allahabad.Obviously it was a risk for a debut author to base the story on a small town. But I never hesitated because the city is my own. I feel honoured when the media says that the Sangam City gets more popular day by day for Leema’s awards and achievements. Recently ‘HINDUSTAN’ (12.01.2015) honoured me as ‘THE PRIDE OF ALLAHABAD.’ I love my Sangam City and I’ll always strive to do my best to make it proud. I just want to see my city, my country, my family smile back at me. That’s where my strength lies! Thank you so much Leema.